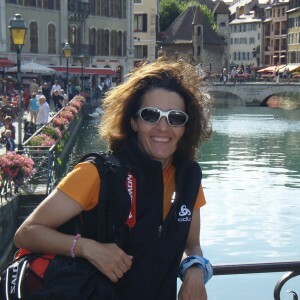 Marina Anastasiou is a physiotherapist, cycling coach and athlete. She is an awarded champion of Greece in climbing and ski mountaineering and has excelled in many mountain sports. She comes from Agnanta Tzoumerka of Arta Prefecture and lives in Agnanta Arta with her husband John Theocharopoulos and their two children. During the period of 1999-2010, she has participated in more than 60 mountain bike races.